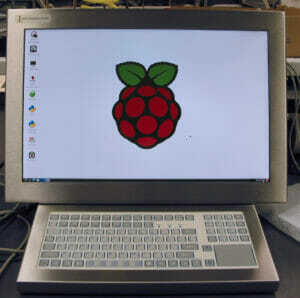 The Raspbian OS has evolved a bit and some of the methods we previously mentioned no longer work as written. Most importantly, newer versions now include libinput instead of evdev. Here is an updated version of our recommended method for using any Hope Industrial touch screen with the latest versions of Raspbian 9 Stretch (kernel 4.9). As before, since our touch screen controller is a standard HID device, no specific driver is needed but we do need to do some configuration to get things working. You may need to accept any necessary dependencies. The touch screen alignment requires us to set some parameters that tell the driver how to “stretch” the touch input across the available screen area. We will use evtest to find these then we will edit some config files to apply them and set other touch screen properties. 2. evtest will list the attached input devices. Select the number of the device for the Elo TouchSystems 2218 Accutouch Interface. 3. evtest will show some configuration data then pause, waiting for input. Of these values, write down the lowest observed ABS_X value and the highest observed ABS_Y value. 5. Now repeat the process, but this time touch the lower right hand corner of the screen and write down the highest ABS_X value and the lowest ABS_Y. Exit evtest (Ctrl + C). 7. Insert the following at the end of the file, replacing minX, maxX, minY, maxY (shown in red) with the valves you wrote down above. Option "Calibration" "minX maxX minY maxY"
Note that in the MatchVendor line we are applying this configuration to all input devices with vendors with the text “ELO” in them. This should be sufficient but if you have another device connected (or multiple touch screens) you may need to be more specific. We kept it broad in this example to accommodate different versions of our touch controller. The options that start with “Emulate” allow tapping and holding (for 750 ms) to simulate a right click. If right-clicking is not needed, these lines can be omitted. 8. Save the file, reboot, and now your cursor should follow your finger very closely and fully support hold-to-right-click.